A new initiative, the Collaboration for Leadership in Applied Health Research and Care North West Coast (CLAHRC NWC), facilitates translational research by creating a platform for researchers, the public, National Health Service (NHS) Trusts, and local government bodies collaborate. Alongside researchers, this project empowers clinicians, caregivers, and people with dementia. It has only been half a year, but I have already gained some interesting insights into how we, as researchers, can share some of our knowledge and expertise with clinicians and governmental bodies, to empower and help them to conduct research within their own services. Since last year, I have been involved with an English organisation funded by the National Institute for Health Research (NIHR): the Collaboration for Leadership in Applied Health Research and Care North West Coast, or CLAHRC NWC in short. CLAHRC NWC creates a platform for researchers, the public, National Health Service (NHS) Trusts, and local government bodies to meet, create, and conduct research which can be applied directly to improve health and reduce health inequalities. Too often, the link between theory and practice is missing in research, and the translation of good research comes to a halt. This type of collaborative structure allows clinicians at the front line to become more research savvy. This is particularly important when some service types within the NHS may provide all the care required. Looking at a geriatrics example, people suspected of having dementia attend a memory service in the UK, where their assessment takes place and where post-diagnostic support is provided. One subgroup of dementia, people with young-onset dementia (YOD) however may experience the service differently to people with dementia above the age of 65, due to their different needs. To see whether anything could be improved to raise the standard of the dementia service, a clinician at the front line of assessing people with dementia on a day-to-day basis is being supported to evaluate the service with research tools. Whilst this may only be a small-scale study which is solely focused on one particular service, findings can potentially be directly translated into the service and inform other services to improve where improvement and change are needed. This is just one example of how the gap between research and application can be bridged. One thing that makes this process more wholesome is the heavy involvement of the public. Having a person who has been affected by dementia themselves or through caring responsibilities can help to better ground the research and its impact into the real life experiences from the other side of the spectrum. This way we can ensure the research also meets the wishes and needs of those directly affected. But it is not only clinicians who can be empowered by this collaborative network – people with dementia and their caregivers can be equally supported in raising their research skills and engaging with all facets of the research. This is just one example of how we researchers can give back some of our research tools and hopefully shorten the path from bench to bedside and improve implementation. Whilst the CLAHRC structure is still relatively new, there may be some knowledge to extract and implement in other countries. 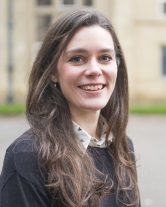 Clarissa has over six years of research experience in dementia care research, having just finished her first postdoctoral position at the University of East Anglia. She has worked on multiple studies and her PhD at the University of Manchester has looked at everyday functioning and cognition in dementia.